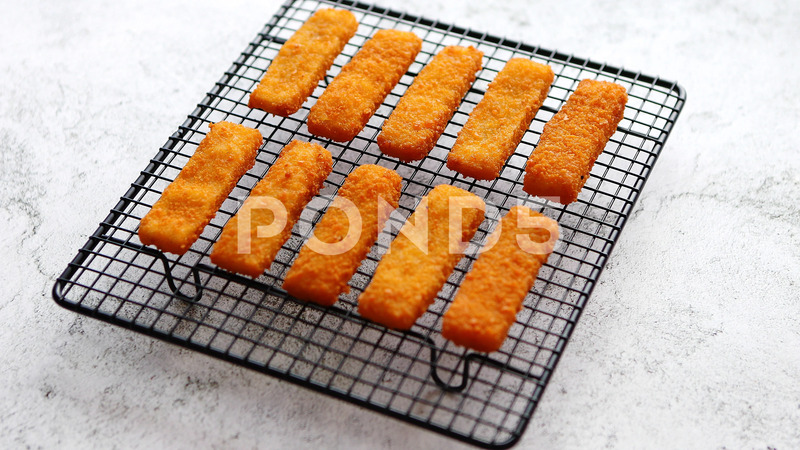 Description: Rows of golden fried fresh fish fingers fillets placed on black grill. Ready for meal. Stone background.